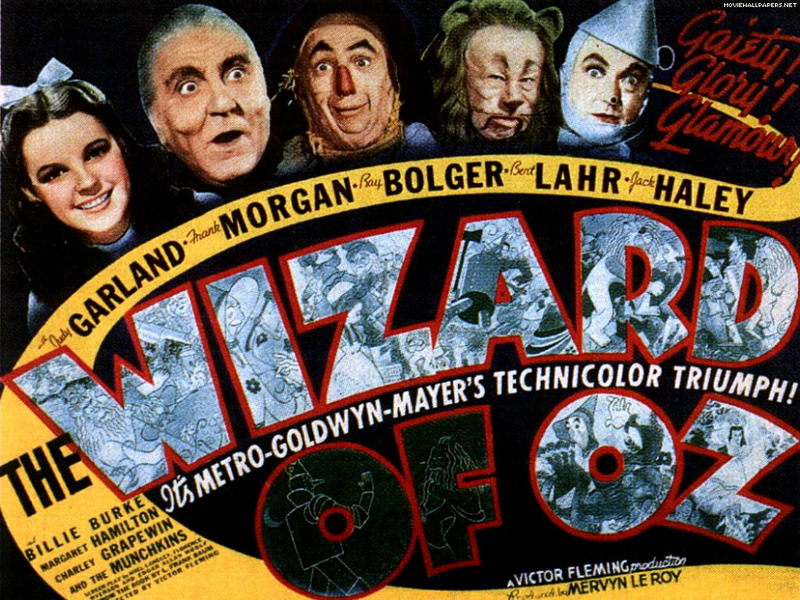 The Wizard of Oz is universally regarded as one of the best movies of all time - yet you could argue that there were at least a half dozen better in 1939. Uploaded by jreynoldsart321.wordpress.com. 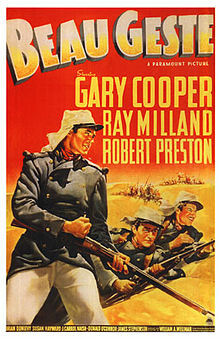 Beau Geste – Gary Cooper in the French Foreign Legion. With Ray Milland, Robert Preston, and Susan Hayward. Destry Rides Again – A Western, directed by George Marshall and starring Jimmy Stewart and Marlene Dietrich. Gone With the Wind – Winner of the Academy Award, from amongst all these films, for Best Picture. See Great American Things, April 28, 2009. 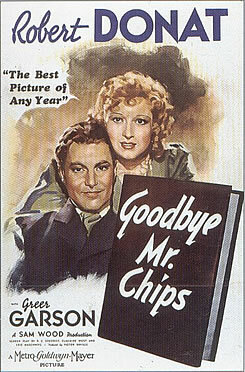 Goodbye, Mr. Chips – A British film, directed by Sam Wood and starring Greer Garson and Robert Donat as Mr. Chips. Gunga Din – Cary Grant fighting for the Empire in Colonial British India. With Douglas Fairbanks, Jr., Joan Fontaine, and Sam Jaffee as the title character. Hound of the Baskervilles – One of two films in 1939 (The Adventures of Sherlock Holmes was the other) pairing Basil Rathbone as Holmes and Nigel Bruce as Dr. Watson. Hunchback of Notre Dame – The best of many versions of this story. With Charles Laughton as Quasimodo and Maureen O’Hara as Esmerelda. Mr. Smith Goes to Washington – One of Frank Capra’s common man rises to heroic status films, starring Jimmy Stewart and Jean Arthur. Nominated for eleven Academy Awards. Ninotchka – Greta Garbo laughs! A great comedy, co-written by a young Billy Wilder and directed by Ernest Lubitsch. Of Mice and Men – The Steinbeck classic brought to life by William Wyler. Aaron Copland composed the score. Nominated for four Academy Awards. 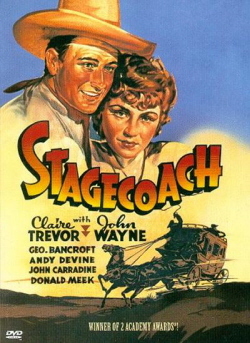 Stagecoach – Another John Ford western, featuring Claire Trevor and starring John Wayne in his breakout role. Wizard of Oz – Judy Garland takes us down the yellow brick road, and ultimately somewhere over the rainbow. Only a modest hit upon its release, you can understand why when you see its competition here. Won three Academy Awards. 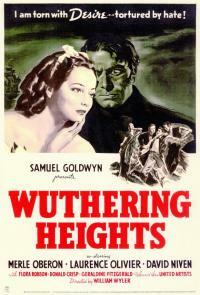 Wuthering Heights – Laurence Olivier and Merle Oberon in the Emily Bronte classic. Earned eight Academy Award nominations. Young Mr. Lincoln – Directed by John Ford, starring Henry Fonda as Abraham Lincoln. 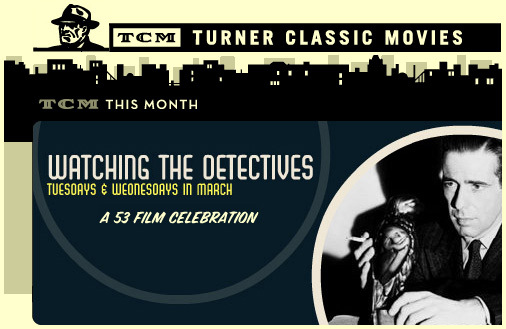 Having theme months is one of the excellent programming decisions that help make TCM such a pleasure to watch for movie fans. Uploaded by saint.org. This is only the second television network to be selected for this list, after ESPN (Great American Things, September 9, 2009). But it’s one of the most valuable on the dial, because it allows us to see great classic movies, uninterrupted by commercials. TCM came on the air in 1994, and its first film was Gone with the Wind (Great American Things, April 28, 2009). There are lots of things to like about the channel. For one thing, it seems to be run by people who really like movies. There’s an intelligence to the programming that isn’t evident at other networks. 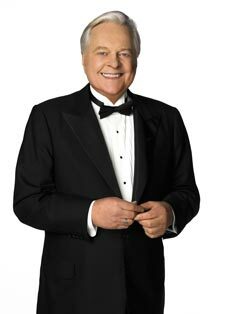 Film historian and TCM host Robert Osborne. Uploaded by boxofficemojo.com. Another thing to appreciate about TCM is how it dedicates days to the career of a single actor. For example, Jimmy Stewart (Great American Things, April 8, 2009) was featured recently, with back-to-back showings of six of his films. It gives you the opportunity to see an actor’s career development, and to catch films you may have never seen. Another highlight is its annual 31 Days of Oscar programming during the month of February. Not just Best Picture winners, but films that won in other categories get the spotlight for a whole month. There was a time when I didn’t care about older movies, somehow deeming them irrelevant to today’s experience. I know, I know. Now I’m a big fan of old movies, when actors and directors made movies work, not computer effects. And I love Turner Classic Movies. Yep, regardless of all the other movies he made, he'll always be Rhett Butler to us. Uploaded by assets.nydailynews.com. Admit it. When you hear “Clark Gable,” you think “Rhett Butler.” Gable was an excellent actor who appeared in many movies and won lots of acclaim, but he’ll always be Rhett Butler to us. Most actors have a career role, but seldom has there been a man so prominent in a movie as successful as Gone With the Wind. Gable had already won the Oscar for Best Actor in It Happened One Night (1934), in which he and Claudette Colbert made a delightful team. And he received another Best Actor nomination for Mutiny on the Bounty (1935). So he already was one of Hollywood’s biggest stars when GWTW came along. But as great as those performances were, Clark Gable is Rhett Butler. Gable’s career actually began in silent movies and lasted until 1961’s The Misfits, in which he co-starred with Marilyn Monroe in her final film. He worked opposite Joan Crawford eight times, Myrna Loy seven times, and Jean Harlow six times. But it’s that one movie opposite Vivien Leigh that has stayed with us. He appeared in 81 movies in all, and you really can’t say he had a huge hit after 1939. Maybe he just became a bad judge of scripts. Maybe he just had bad luck. Or maybe it’s that even Hollywood producers always saw him as…you know. Photo courtesy of Flickr, uploaded by feastoffools. How’s this for a Saturday night TV lineup? On CBS in 1973 you’d see: All in the Family, M*A*S*H, Mary Tyler Moore, Bob Newhart, and Carol Burnett. That roster deserves its own wing at the Museum of Broadcasting. The first two were controversial, the next two were heartwarming, and Carol Burnett was just flat-out funny. Her show ran for 11 seasons, from 1967-1978. It was a variety show with musical guests, but that element of the show is virtually forgotten. What we remember is the comedy from Carol’s wonderfully talented ensemble cast: Harvey Korman, Tim Conway, Vicki Lawrence, and Lyle Waggoner. Carol and Tim were hilarious in the continuing “Mrs. Wiggins” sketches, Carol and Vicki shone in “The Family” skits (later spun off as Mama’s Family). Carol had done TV before getting her own show, of course, and she did more TV and films after. But we’ll always remember her for the amazing talent she assembled (on both sides of the camera), and for being wise enough to give them the freedom that ended up making her look good. The show won 22 Emmy Awards during its run. Best I can tell, it’s not on anywhere now in syndication. When you look at the morass of television today, isn’t there anyplace on 150 channels to replay one of the funniest shows of all time?